WSM is looking for an accomplished Principal Cloud Architect with strong communication skills, experience in Hybrid Cloud Computing, and a passion for helping clients solve problems. Strong candidates will have demonstrated a growth mindset, be enthusiastic about learning new technologies quickly, and demonstrated success applying gained knowledge to address business problems. This individual will lead the technical approach for Cloud & DevOps capabilities and oversight across multiple projects. Additionally this individual will work with WSM leadership and services delivery to create new offerings and demonstrate WSM’s thought-leadership in cloud adoption, DevOps and cloud managed services. Support Sales to develop and scope solutions that meet client business and technical requirements. 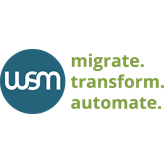 WSM is an exciting, high energy, fast-paced consulting and managed services company focused on delivery incredible value creation to our business partners and clients. We specialize in digital transformation and have extensive experience in hybrid and hyper-scale migrations. We are passionate about technology, uncompromising about client success, and love taking on new challenges.